Our Intro to Yoga II series is a great way to further your foundational yoga practice. These six-week sessions are designed for anyone who has taken the Intro to Yoga series at 8 Limbs, or already has a basic understanding of the foundations of yoga poses and is ready to learn more advanced poses, along with pranayama and some yoga philosophy. 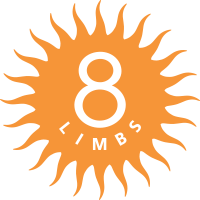 This series will prepare students for the ongoing All Levels and Level II classes offered at 8 Limbs. Some will be ready to move on after one session; others choose to repeat the Intro to Yoga II series multiple times before moving on.